This auditing and professional assignment aims at discussing the various aspects of auditing and accounting. Accounting is the process of recording and presentation of financial transactions of a business an appropriate format and structure in accordance with the applicable accounting and financial framework such as Accounting Standards, International Financial Reporting Standards (IFRS), Generally Accepted Accounting Principles (GAAP) etc. whereas auditing is the process of testing the financial information by the auditor to form an opinion about whether the financial statements are free from errors, misstatements and frauds or not and also whether they represent the true and fair view of the financial position and accounting information or not. The issues and scope included within audit planning, preparation of planning documents and approach for audit planning to be adopted under three different situations is discussed in this report. The different types of audit risks, risk assessments and planned approach for adopting audit procedures for various transactions based on the risk assessment is also included. Also the interrelationship between the communication of accounting information and auditing process is discussed in this report. In this case City Ltd. is a property developer operating various projects in the central business district of Brisbane. In spite of various projects in operation no buyers have been secured because of the reason of abundance of city office space in Brisbane and also there has been a downturn in the commercial property sector of Brisbane. In this situation the issues that need to be incorporated in the planning documents include whether the company establishes a new trust for acquiring property, internal control procedures for the development of properties under the projects undertaken in Brisbane, evaluating the effects of downturn in commercial property sector in Brisbane, whether the 50% capital gain discount is claimed for the property or not, review of advertising and marketing plan undertaken by the company to increase sales, etc. The properties held by the company shall be sold within 12 months soon after their completion which is also an important audit issue. It shall be verified that whether the reason for not securing property by buyers is the downturn in commercial property sector and abundance of city office space in Brisbane or not (Buckless et al, 2014). In this case Web Ltd. purchased new computer software for conducting extensive financial management analysis for its operations and improving the quality of management reporting. The audit issues involved in this case relate to the terms and conditions included in the agreement with the vendor for the purchase of computer software. The cost at which the software is purchased from the vendor is not excess than the actual market price is an important focus area of the audit. The capability of the software to conduct the extensive management of financial analysis effectively and the ability of the software to improve the reporting process is also an issue to be considered for the audit of software. Thus, the purchase of software by the company is a major concern which can create impact on the financial statements also. Thus, due to level of materiality of this transaction, the verification of invoice for purchase of software, agreement with vendor etc. shall be included in the planning document of audit of company. Whether the company has obtained the license and copyright to purchase and use the software shall also be included as an audit issue. In this case the company Beauty Pty. Ltd. which is indulged in the operations of manufacturing of cosmetic and skin care products has established its branch overseas as a sales outlet. This will cover the audit issues that relate to the applicable legal and regulatory requirements with regards to health and safety, consumer protection etc. In relation to opening of the branch outside, the audit issues will include compliance of licensing and regulatory norms for opening branch overseas, agreements for branch opening etc. The inventory to the new branch is transferred from Australia only with the objective of reducing lead times to existing customers. This will require audit of inventory by performing physical count of inventory through stock ledger and verifying the method used for inventory valuation. The samples which are distributed free as part of marketing strategy also needs to be counted physically and tallied with the marketing cost of sample distribution recorded by the company and the quality of expenses will also be checked to ensure effectiveness of marketing plan and strategy. Also the branch expenses will have to be verified against the budgeted expenses so that the excessive cost can be identified and errors and frauds can be prevented (Hooper & Maskell, 2011). To decide about whether to use test of controls or substantive audit approach during the audit process is an important issue of audit. An auditor uses his professional judgement and scepticism while taking the decision about use of audit procedures that will be effective during the audit to obtain sufficient and appropriate audit evidence to form an opinion. While deciding about the audit procedures of Vroom Ltd the general issues that will be used by the auditor will include the assessment of audit risk including inherent risk, control risk and detection risk. Apart from this, the existence and effectiveness of internal controls will also be an important factor contributing to the use of test of controls or substantive procedures. The materiality level deciding in the audit planning also contributes in selection of audit procedures. Test of controls is the test of internal controls of the operations in a way that how effective the internal controls are to prevent and detect frauds, errors and material misstatements. If the internal controls are strong then test of details will not be required but the detection risk will be higher. The test of details or substantive audit approach involves testing each and every detail and transaction of financial statements in order to evaluate the chances of frauds and errors in detail. Thus whether to test the internal controls only or to use vouching and verification methods for testing each and every transaction or detail is purely the decision of auditor taken by him independently using his professional knowledge, skills and judgement. Risk assessments refer to as identification and evaluation of risks involved in the operations and activities of the entity which may result in increase of errors and omissions and chances of fraud. 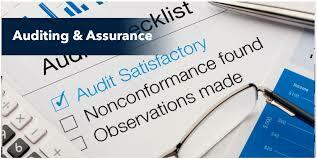 The risks involved in the audit process are of three types, inherent risk, control risk and detection risk. Inherent risk is the risk which arises when there are no internal controls present in the operations of the entity, control risk arises when the internal controls of the entity are weak and detection risk arises when there are strong internal controls due to which the chances of non-detection of frauds and errors by the auditor increases. The risk assessments above have been conducted for four types of audit items including disclosure of financed leased assets, measurement and completion of depreciation expense, rights and obligations in relation to vehicles and valuation of vehicles. The risk assessments help in determining the audit approach since in case of higher inherent and control risks, test of controls is used as effective audit approach whereas in case of higher detection risk substantive audit approach is used including test of details (Bierstaker et al, 2010). The approach defined in panning summary is truly based on the risk assessments with regards to inherent risk, control risk and detection risk performed for all the individual operations. For the measurement and completion of depreciation expense in relation to the depreciation charged on assets of Vroom Ltd including cars and equipment leased to government, the risk assessment conducted by the company provides for low inherent and control risk and high detection risk. The internal controls with regards to depreciation on assets are strong due to which there are high chances that frauds and errors will not be detected by the auditor (Gould, 2010). If this risk assessment is followed then the substantive approach will be required including test of details of each and every transaction related to depreciation expense of company. However the planned audit approach in the planned summary presented after risk assessment requires more significant level of test of controls for charging depreciation and a minimal level of substantive procedures for performing test of details of transactions. Under this approach, the audit procedures will include verification of rate of depreciation, cost of assets, methods of charging depreciation, estimation of salvage value etc. Communication of accounting information refers to as the process of communicating relevant and important accounting and financial information to the users of such information. Such information is communicated through preparation and reporting of financial statements in a logically arranged manner and format prepared in accordance with applicable regulatory and financial reporting framework on such entity. 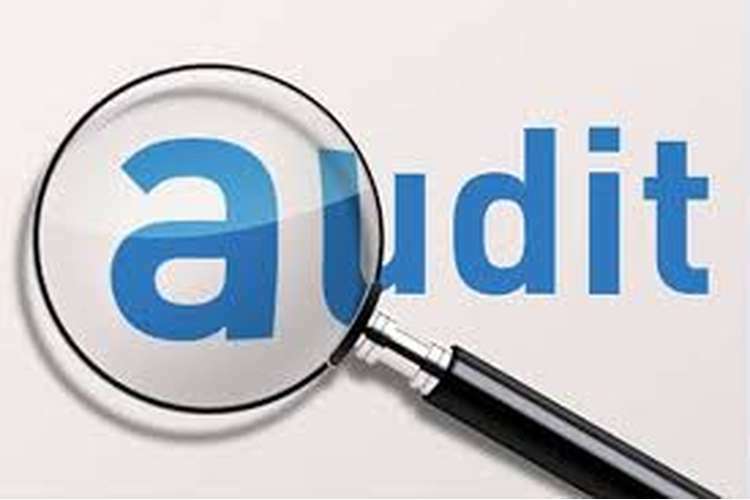 Auditing refers to as the process which is undertaken by an auditor to obtain sufficient and appropriate audit evidence based on which opinion is framed by the auditor about whether the financial statements of a company are free from frauds, errors, material misstatements and omissions and present a true and fair view about the financial position of the entity and its business operations and performance. The connection between the auditing process and communication of accounting information to the intended users is that the effective communication of accounting information is being made to the users only after the financial statements prepared are audited and audit opinion is attached with them. The communication is a two-way process which is completed only when the message sent is received by the receiver and responded back. Reliability of information is an important element of communication process which is important to be included in the communication of financial information also. Therefore, the communication process of communicating financial information by the entity to its users is completed only after the audit of financial reports prepared by the management is done by the auditor and the audit opinion and audit report of the auditor is attached with the financial statements presented to the users. Thus an integrated report including the financial information and opinion of auditor for such information is communicated by the entity to its stakeholders and users to ensure effectiveness of communication of accounting information. This as part of communication process, the financial statements are prepared and signed by the management of the company and are audited and signed by the auditor after which the combined reports are issued to general public for use by the intended users, general public and the stakeholders of the business of entity. Based on this communication of financial information, the decisions of stakeholders of entity are undertaken which directly affects the business and business operations of the entity. Thus auditing and communication of accounting information are the two processes which are directly related to each other and dependent on each other (Parker et al, 2011).